For shark conservationists, the Indian state of Gujarat is an enigma. Situated in the country’s north-western corner, Gujarat registers some of India’s lowest fish consumption levels, but ranks among its highest contributors to shark fishing. The state’s coastline is the country’s longest and hosts its largest diversity of shark species. 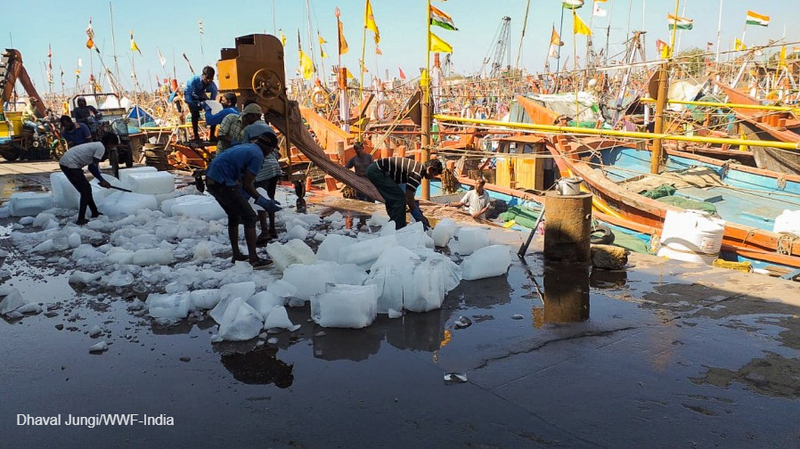 Gujarat also accounts for 50% of the nation’s trawling operations, and reports among the highest percentage of trawling discards; trawling from Gujarat and Daman-Diu union territory alone makes up around 50% of India’s annual shark landings. WWF-India’s marine team is working to resolve the issue of shark bycatch in Gujarat. 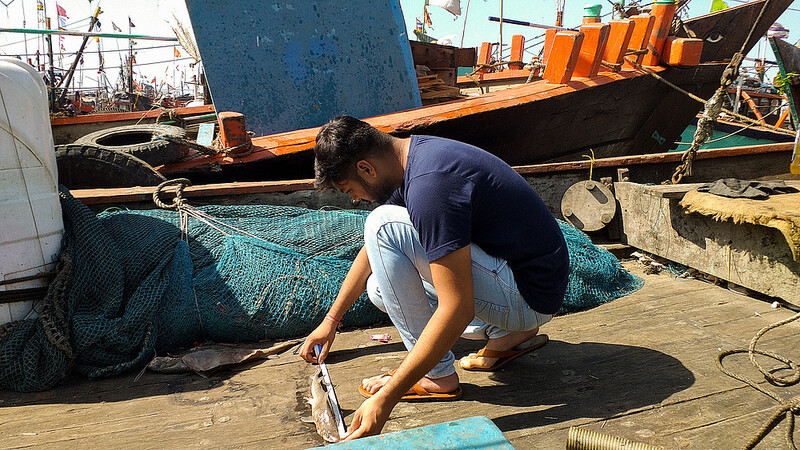 To develop a conservation plan for sharks it is important for the team to understand the nature of fishing operations in Gujarat and its impact on the shark populations along the state’s coastline. The team has been collecting data to help understand species diversity and their interactions with trawlers. Over the past few months, they have identifed 10 species of sharks, three species of skates and 11 species of rays that are often caught in trawlers. Of these, four are endangered, seven are vulnerable and eight are near threatened. The next phase of the project will test, trial and identify technology that can be adopted by fishermen to mitigate shark bycatch from trawl fisheries. It is hoped that over time Gujarat, a state fiercely protective of its whale sharks, will also emerge as a champion for the country’s shark conservation efforts. Note: Support for WWF-India’s work on shark bycatch matters has come from Switzerland’s Comité Philanthropique de la Famille Firmenich. About the contributor: Ema Fatima is a marine conservationist with a Masters degree in Biodiversity & Conservation. She has several years of experience in the field of sea turtle conservation in India. Ema is currently the coordinator for the marine programme at WWF-India and leads the national shark project.